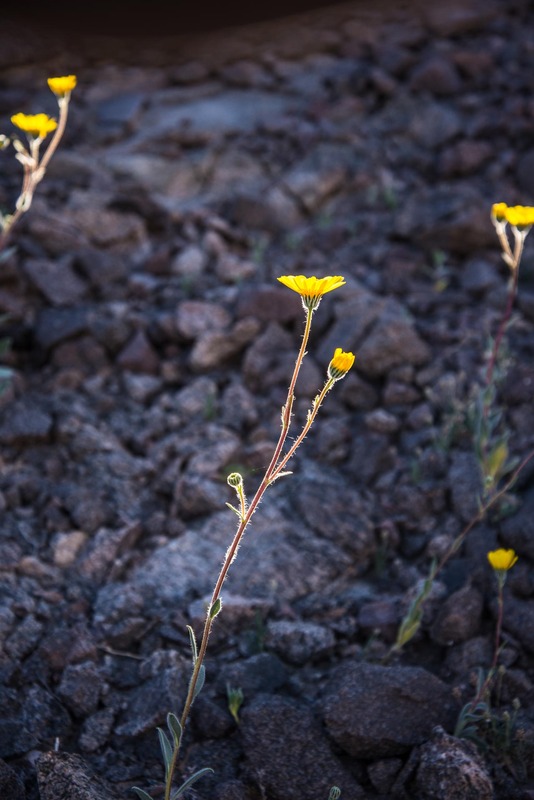 Saline Preservation Association > Categories > Current Events > Super Bloom? I was out in Saline last weekend and the flowers are definitely concentrated South of Badwater, so pretty much nothing but tiny purple flowers in Saline. Thank you for the info. I've traversed the Lippincott twice in the past; once in my older '87 landcruiser, and then followed in an '07 FJ. My "new" '07 FJ 4WD (that is, I purchased it used last year with some 32K miles on it) is far more capable than I am brave. However, your information is invaluable. I'll certainly talk the plan over with my "co-pilot," since he'll be the one overlooking the drops, but knowing that at this time there are no major washouts is encouraging. And, knowing my friend, a pilot, I don't think the heights are going to be a major impediment. 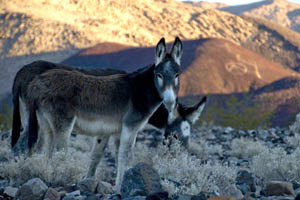 I went in from saline valley road. 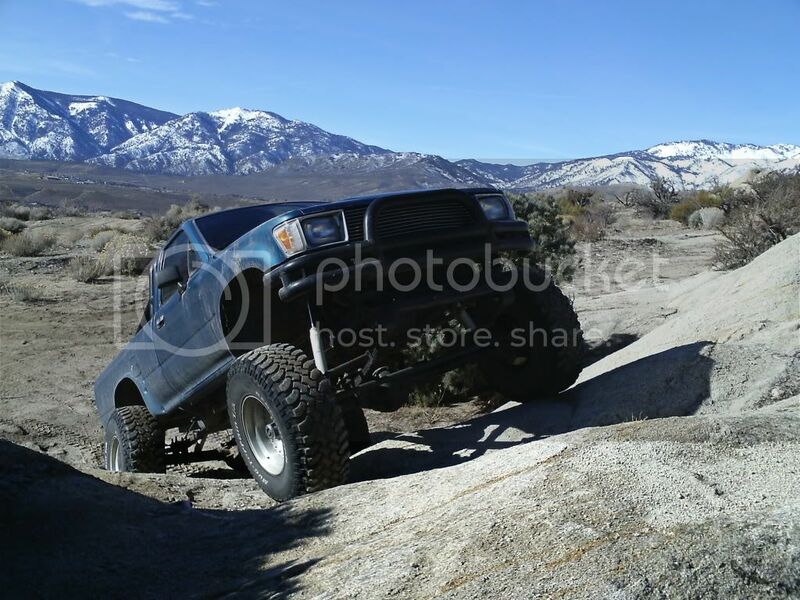 Went to the racetrack then back down to saline valley road. Lippincott road is narrow in some spots and a few tight corners. Very rocky and a few deep holes. A full size truck was coming down when I was going up and the made it all the way down. I drive a jeep and did have to use 4x4 twice when going over the rocks. Any special notes regarding Lippincott? Did you approach Lippincott from the south? Thanks for the information. Nice images. I drove up Lippincott Road yesterday. Here are some of the picture I took. Had the pleasure of visiting and photographing in 2005. Now planning to visit next weekend (3/4 - 3/8). My fingers are crossed that I'll see similar. I will post images when I get home. NPS facebook page has some photos of DV bloom. Deart valley , particularly the south end, has gotten a lot of rain, off and on, all fall, but huge deluge in Oct which next day washed out Scottys Castle grounds...and its low down there, so it started blooming even in Dec! The Desert Gold now, mid Feb, looks better than anything I remember from either 2005 or 1998, so yes, it's a SUPERBLOOM at the south end of the park right now! Solid yellow on the alluvial fans on both sides of the valley! Desert Gold continues to fill in the fans now from Furnace Creek to Scottys Castle road, and is quite good up the Beatty Cutoff. Meanwhile, Phacelia lines the road down by Badwater and is getting going in Artists Drive? It's only just begun....it's spectacular! It is still early for the elevation and latitude of SV. Right now bloom is on the southern end of DV proper and it is very impressive. Higher elevation and more northerly parts should bloom in the coming months. We spent 4 days there over Pres. Day and didn't see anything blooming yet, super or otherwise. Sorry! Hi everyone, im new to the forum but have been enjoying the springs for a couple years now. Big Thanks to everyone who keeps it accessible!!! 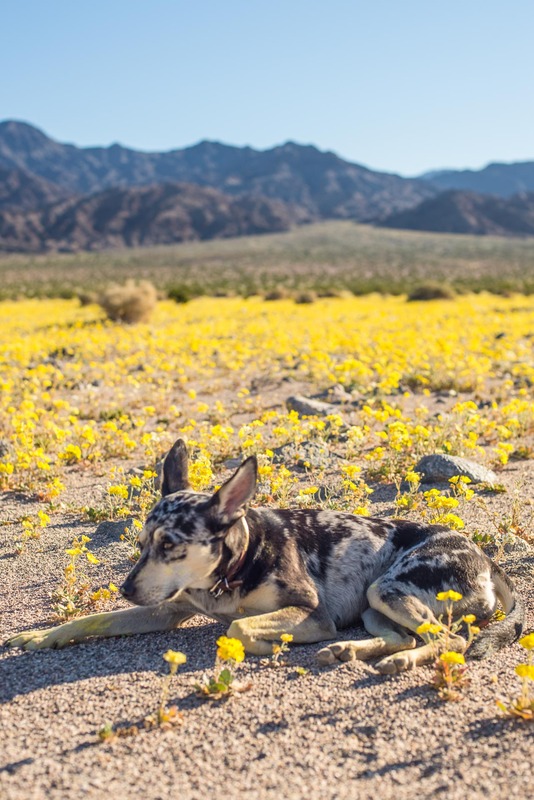 is there any desert flower super bloom activity going on in the Saline Spring Area? ?